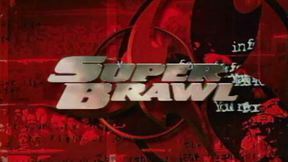 SuperBrawl 35 from April 16, 2004 in Honolulu, Hawaii, USA. Jyoji Yamaguchi vs Billy Kidd SuperBrawl 35 Fri, Apr 16, 2004 (8:50) Jyoji Yamaguchi vs Billy Kidd at SuperBrawl 35 from April 16, 2004 in Honolulu, Hawaii, USA. Bart Palaszewski vs Komei Okada SuperBrawl 35 Fri, Apr 16, 2004 (15:51) Bart Palaszewski vs Komei Okada at SuperBrawl 35 from April 16, 2004 in Honolulu, Hawaii, USA. Makoto Ishikawa vs Antoine Skinner SuperBrawl 35 Fri, Apr 16, 2004 (17:23) Makoto Ishikawa vs Antoine Skinner at SuperBrawl 35 from April 16, 2004 in Honolulu, Hawaii, USA. Tetsuji Kato vs Jason Dent SuperBrawl 35 Fri, Apr 16, 2004 (17:03) Tetsuji Kato vs Jason Dent at SuperBrawl 35 from April 16, 2004 in Honolulu, Hawaii, USA. Kerry Schall vs Ray Seraile SuperBrawl 35 Fri, Apr 16, 2004 (3:12) Kerry Schall vs Ray Seraile at SuperBrawl 35 from April 16, 2004 in Honolulu, Hawaii, USA. Ryan Bow vs Deshaun Johnson SuperBrawl 35 Fri, Apr 16, 2004 (2:38) Ryan Bow vs Deshaun Johnson at SuperBrawl 35 from April 16, 2004 in Honolulu, Hawaii, USA. Joe Doerksen vs Riki Fukuda SuperBrawl 35 Fri, Apr 16, 2004 (16:58) Joe Doerksen vs Riki Fukuda at SuperBrawl 35 from April 16, 2004 in Honolulu, Hawaii, USA. Jeff Curran vs Kimihito Nonaka SuperBrawl 35 Fri, Apr 16, 2004 (16:58) Jeff Curran vs Kimihito Nonaka at SuperBrawl 35 from April 16, 2004 in Honolulu, Hawaii, USA. Rich Franklin vs Leo Sylvest SuperBrawl 35 Fri, Apr 16, 2004 (2:02) Rich Franklin vs Leo Sylvest at SuperBrawl 35 from April 16, 2004 in Honolulu, Hawaii, USA. Tommy Sauer vs Enson Inoue SuperBrawl 35 Fri, Apr 16, 2004 (6:26) Tommy Sauer vs Enson Inoue at SuperBrawl 35 from April 16, 2004 in Honolulu, Hawaii, USA.